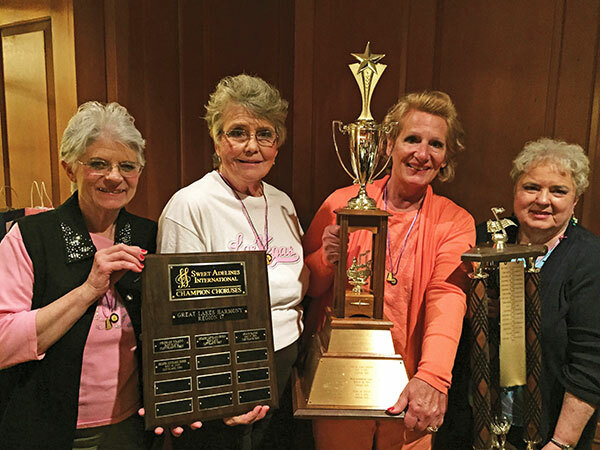 Tag Archive | "Grand Rapids Sweet Adeline’s"
Area Grand Rapids Sweet Adelines members celebrating wins at Sweet Adelines Region 17 Competition in Cleveland: (l-r) Margaret Durga and Judie Wabeke from Greenville; Mary Myers from Rockford; and Sue Harrison from Cedar Springs. 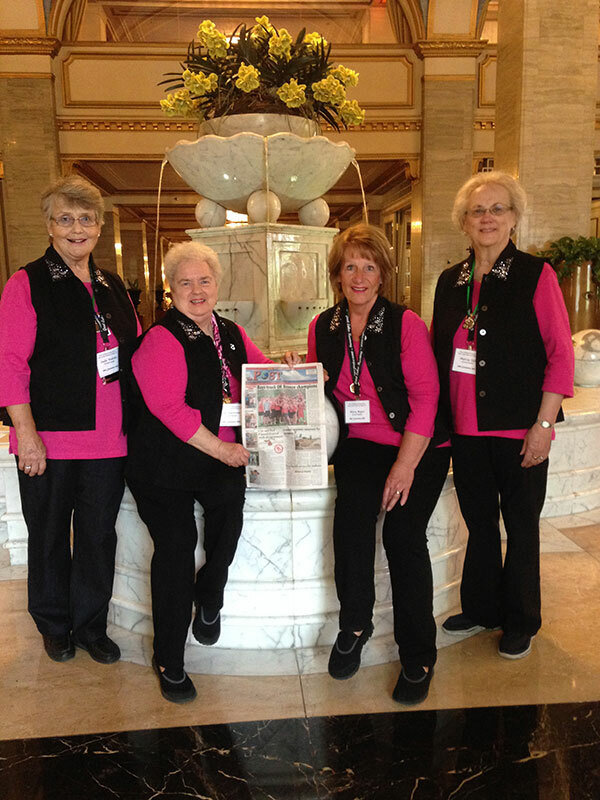 The Grand Rapids Sweet Adelines had an amazing weekend at the Great Lakes Harmony Region 17 Convention and Competition in Cleveland, Ohio earlier this month. They competed against 16 other choruses (over 3000 women) from Michigan, Indiana, Ohio and Pennsylvania. The 56 member Grand Rapids Chorus is proud to represent Region 17 as the 1st Place Mid-Size Chorus and the 1st Place Overall Champion. This win allows them to compete in the Sweet Adelines International Competition in Las Vegas in Oct, 2017. The GRSA chorus also had three quartets that scored in the top 11 out of 30 competing quartets, with “Sublime” taking home 2nd place medals.